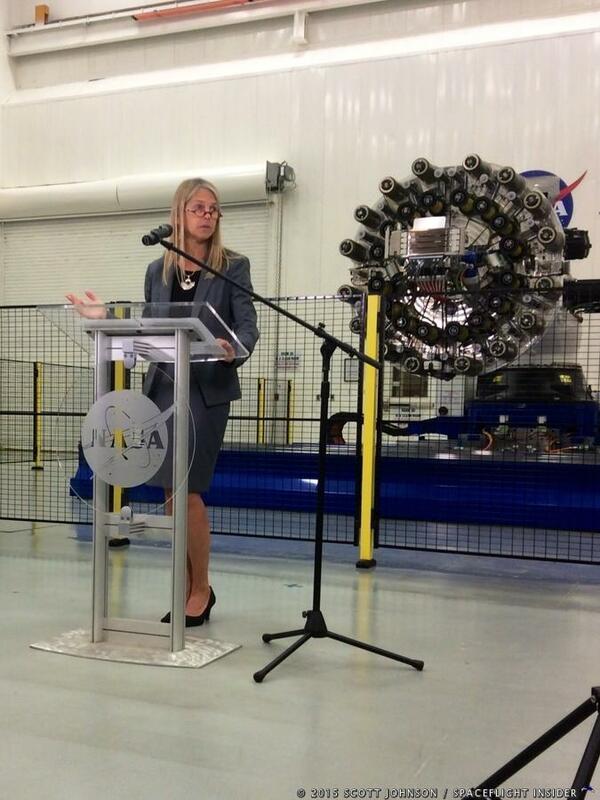 HUNTSVILLE, Ala. — NASA’s new Deputy Administrator, Dava Newman, completed a tour of the space agency’s Marshall Space Flight Center (MSFC) located in Huntsville, Alabama. 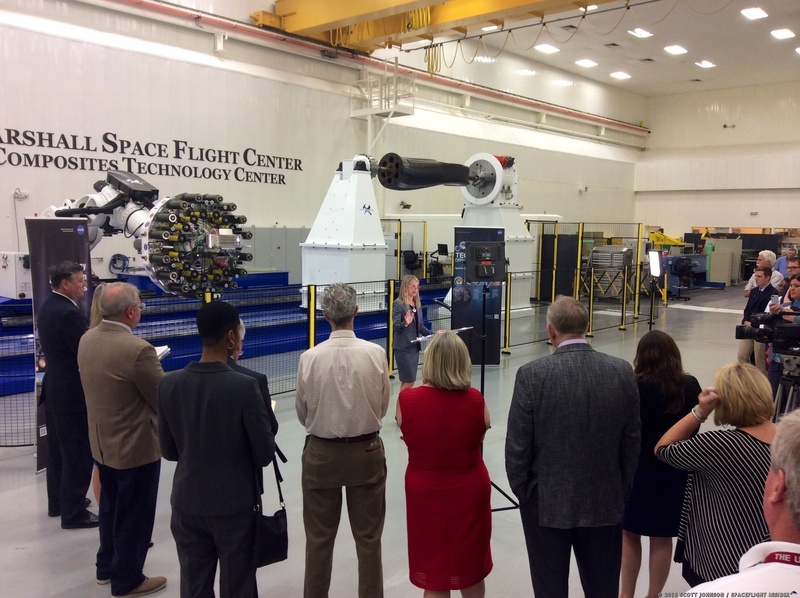 While there, she, along with other NASA officials, reviewed the National Center for Advanced Manufacturing Composites Technology Center and the innovative systems being utilized there. Newman, who was selected by President Barack Obama as a replacement for Lori Garver in the number two position with the space agency in October of 2014, conducted her tour on Thursday, Aug. 6 at around 2:30 p.m. CDT. The Composites Technology Center has a newly installed robotic fiber placement system which, among other things, may produce components for NASA’s new super heavy-lift booster, the Space Launch System (SLS). Newman was joined by NASA’s Senior Technical Officer, Jeffrey Sheehy, who is based out of the Space Technology Mission Directorate at NASA Headquarters and MSFC Director Patrick Scheuermann. They, along with the Director of Marshall’s Engineering Directorate Chris Singer, and NASA’s Manager for Advanced Manufacturing, John Vickers, reviewed the technology that the agency hopes to use to construct the vehicles which will return NASA astronauts to the business of space exploration. Since the close of the Space Shuttle Program in the summer of 2011, NASA has worked to modernize many of the systems and facilities under its purview. It has also reaffirmed existing ties within the aerospace industry – and established new ones. As the agency continues to enable commercial industries to transport crews to the International Space Station, it will, in turn, work to regain the capability of sending crews to destinations beyond Low Earth Orbit (LEO). While the space agency has no directive as specific as President Kennedy’s mandate to send astronauts to the Moon, or as under the now-cancelled Vision for Space Exploration, it has been directed to carry out an Asteroid Redirect Mission (ARM) sometime in the 2020s and has made numerous statements about sending crews to Mars sometime in the 2030s.